The hospitality industry relies on water both as an ingredient in its products and a solvents in its cleaning processes. However, water management has come a long way in the industry, even in the past decade. These days, it would be safe to say that without effective water management, the hospitality industry could not operate effectively. South Melbourne Market (SMM) is owned and operated by the City of Port Philip, which itself has shown a long-term commitment to water management. 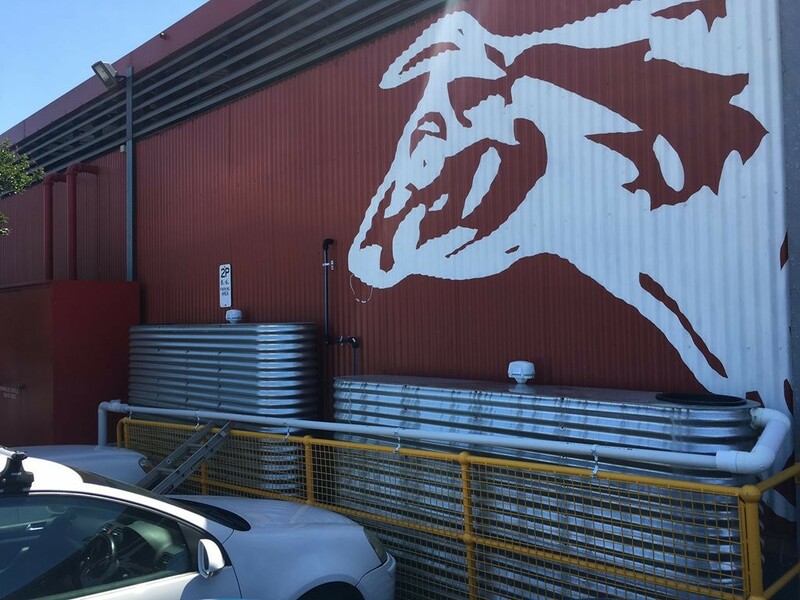 According to its website, the South Melbourne Market has been a “treasured inner city landmark and a favourite amongst locals and visitors”. SUMS Group marketing manager, Margrethe Ingemann, says the company has been working with the site’s management team for over four years, in fact from in early 2014 to be exact, when it installed data loggers on two main supply meters and 12 sub-meters servicing some of the retail outlets in the market. Additionally, Ingemann says that its tank level motoring devices were also installed to monitor the water level and usage of the underground 500kL rain water tank. However, soon after monitoring began, Ingemann says that the SUMS Alert System noted high water use at 16.25 litres/minute picked up on the main supply meter. After conducting a leak detection survey, the company says it found what turned out to be a faulty float valve in the rooftop cooling tower causing the water tank to overflow. The float valve was replaced and the leak went away, the company says. According to Ingemann, this helped the City of Port Phillip save 7,095,600 million litres of water over a 12-month period translating to a cost saving of $34,000. SUMS data loggers were also installed on potable water and rainwater meters in SMM’s pump house. Historically, when rainwater tank level fell below a set threshold, potable water was activated via a bypass. Today, monitoring with SUMS means automatic alarms notify the SMM operations team if potable water is in use. Previously a physical check of tank level and the pump control panel was necessary to avoid excess water usage in the pump house, the company says. With normal water consumption at this site of approximately 80KL to 100KL per day prior to the commencement of monitoring, savings resulting from improved water management soon amounted to 40KL to 60KL per day. The C-Tank allows SMM to measure tank water levels remotely through the SUMS portal. The device measures tank level using an ultrasonic sensor and tank level data is sent wirelessly to the SUMS portal, allowing the SMM operations team to view tank depth and percentage full without having to head out to the tanks. Tank depth is monitored every 15 minutes and data is uploaded to the SUMS portal every six hours. A complex sub-metering project of 79 individual store holders commenced in July 2017, when SUMS Group installed water meters, isolation valves and its multi-logger, real-time monitoring system on site. A thorough investigation and audit of the plumbing was conducted to ascertain the precise place to install a sub-meter to ensure each tenants usage was captured correctly. Since the markets have been at the same location since 1867, the age of the facility meant there was very little documentation in terms of water main infrastructure and the new water monitoring solution had to be installed with great care so the ambiance of the market was retained. Today, the provision of SUMS data loggers and the online SUMS portal will allow not only the markets administration to understand and manage the water infrastructure on the site but also enable the preparation of individual stallholder water consumption and services invoices. By using the SUMS web portal South Melbourne Market management are now able to view water consumption and usage profiles of individual stalls and compare this to the two main potable water incoming water feeds. Store holder water consumption data can be accessed through SUMS and used for billing purposes. It is expected that 90 percent of the site’s water usage occurs at store level, and detailed SUMS monitoring will allow the operations team to share the responsibility of water management through a ‘user pays’ principal, while sub-metering and SUMS automatic alerts ensure that abnormal usage events can be isolated quickly avoiding excess water usage. It is estimated, says SUMS, that by improving data access and transparency at store level, SMM can achieve water savings of up to 36,650 litres per market day with total annual savings of 7,623 KL (this assumes 208 market days per year). This says Ingemann, translates to total annual savings of $37,200. In another interesting sustainability initiative, water usage at each filling station is monitored by SUMS so consumption can be calculated. At the same time, this allows SMM to calculate the total number of water refills, graphically illustrated by the total number of plastic bottles diverted from landfill. According to one calculation by the market’s management, since March 2017, over 39,000 plastic bottles have been diverted from landfill as a direct result of having these water refill stations, says SUMS.